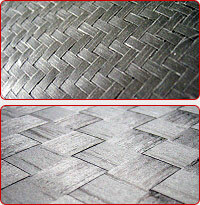 This is a high-strength fiber semiprepreg material structurally combined with thermoplastic resins. It can be used for various types of materials such as unidirectional (UD) sheets and textile fabrics, which makes it possible to select materials for various purposes and forming processes. Thermoplastic resin can be used in applications different from those of thermoset resins, and effectively enables the "3R's (Reduce, Reuse, Recycle)". This is a cross-formed semiprepreg base material using thermoplastic resins. It can be provided as cross- or press-formed laminated sheets. 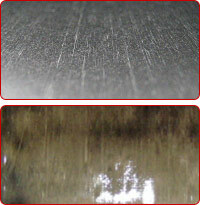 For more detailed information on the applied resins, please contact us. This is a unidirectional (UD) semiprepreg sheet using thermoplastic resins. This can be provided as sheet formed or press-formed laminated sheets. For more detailed information on the applied resins,please contact us.